DANCE PARTY | Music motivates me to move, so getting up + moving along with the beat really helps me focus on the "fun part" of working out. And the best thing is I don't even have to have a cardio workout in mind. I can just turn on my music as a part of my early morning routine and dance to my heart's content! I know I'm not the only one here who likes to dance in the mirror whenever the music is turned all the way up at home. Make a playlist of your favorite tunes and have your own personal dance party! Have children getting ready in the morning with you? Add kid-friendly songs and make them a part of your dance party, too! WALKING OR JOGGING | If having your own dance party doesn't get you working up a sweat, having a nice jog (or if you're like me, brisk walk) is definitely what the doctor ordered. You don't need to buy any equipment or devices for this unless you choose to. Just grab your phone, queue up your playlist, and pace yourself! And if you'd like to count your steps or miles completed, most smartphones have free health apps that monitor them both! LINE DANCING | Having a dance party or jogging outside not quite your thing? Perhaps you like a more organized dance situation. For as long as I can remember, my family has loved to get together for line dancing at family functions. So to add a little fun to my daily activity, I decided to make a playlist of my favorites to do when I am looking to get some fun, quick activity in. Doing fun dances like the Love Slide, The Chuck Baby, Milwaukee Biker's Shuffle, or the Wobble in a loop on a YouTube playlist allows you to dance and have fun, not even realizing you're actually burning calories. Are there any tried and true ways you keep activity a part of your daily routine without getting bored? 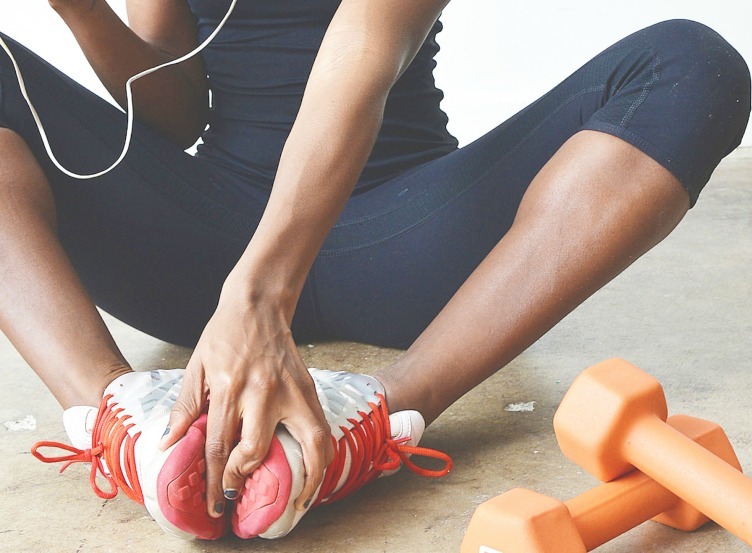 If music helps motivate you as well and you don't currently have a playlist, be sure to check out Jog FM, a site that helps you find workout music according to your walking, running or cycling time. 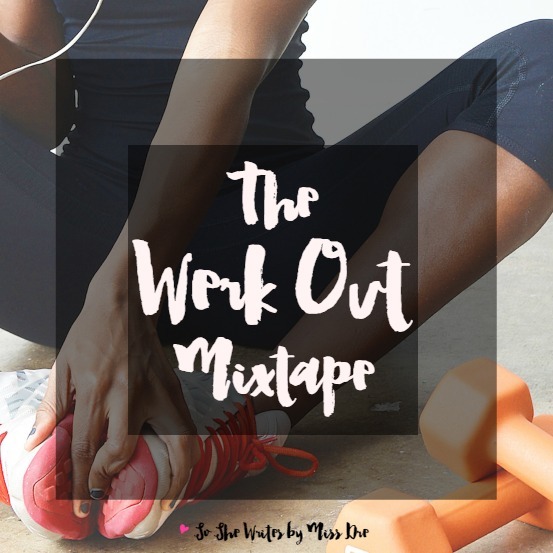 And if you have musical tastes similar to mine, feel free to bookmark this post or download my Spotify playlist by clicking the graphic (shout out to CreateHerStock). How do you stay motivated in your health and fitness goals?